This 5 stateroom 5 head yacht is built by France's leading producer of megayachts and navel vessels. Her hull was built in France then sent to the Guy Couach yard in Dania, FL for completion. Her appliances, electrical system, and labeling are all US specification. 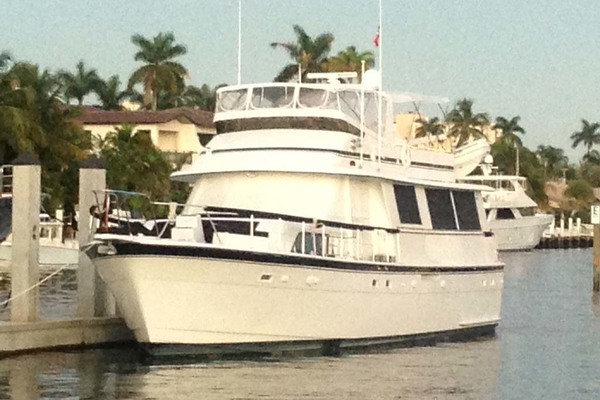 She underwent a refit in 2004 at Harbour Towne yard in Dania, FL. New bow thruster, air seps, navigation, engine room exhaust fans, new fuel lines, new risers & elbows, bottom paint, turned shafts & props, new zincs, Polish fuel and cleaned tanks, new soft goods, re-new steering system and lines, and 4 out of 7 a/c units were replaced. This boat has been moored in FRESHWATER in a covered slip in Knoxville, TN and professionally maintained since 2005. There is a marine survey from August 2012 available upon request. Vessel appraised for $816K at time of survey.